** If the ad is up, the set is still available! 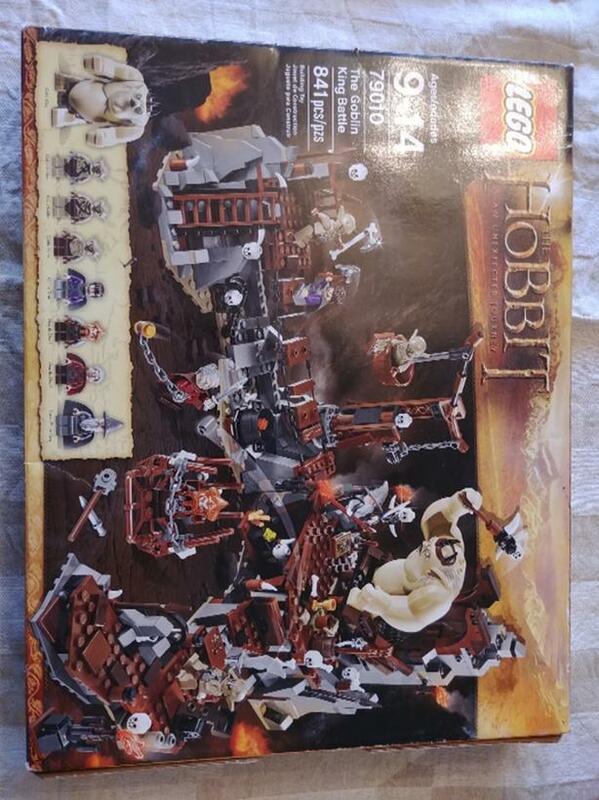 New Lego set: "Hobbit: An Unexpected Journey - Goblin King Battle". My kids received this set for Christmas a few years ago. They opened a couple of the bags, but never did anything with it. So, essentially, this is a brand new unopened set. All manuals and parts included. This set regularly sells for more than $120 plus $50-$70 shipping on e.B.ay. You can have it for no shipping fee!